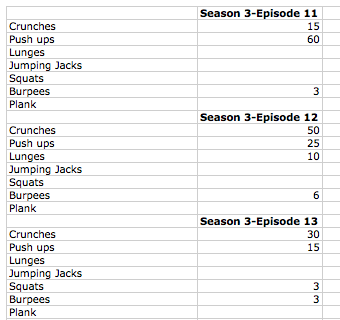 Better late than never, here's the complete breakdown for season 3 of The Walking Dead workout!! 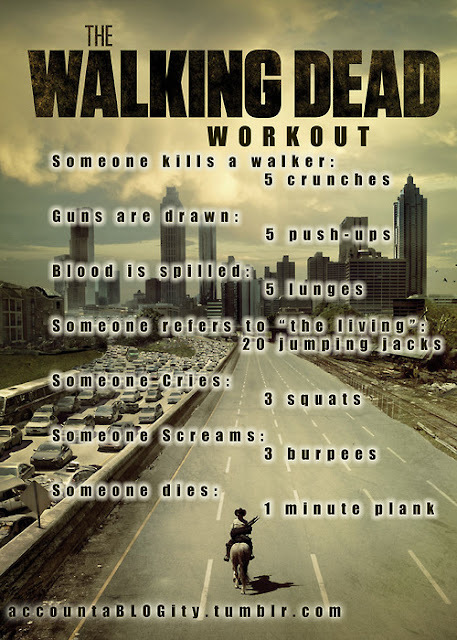 If you're unfamiliar with this workout, then start HERE. 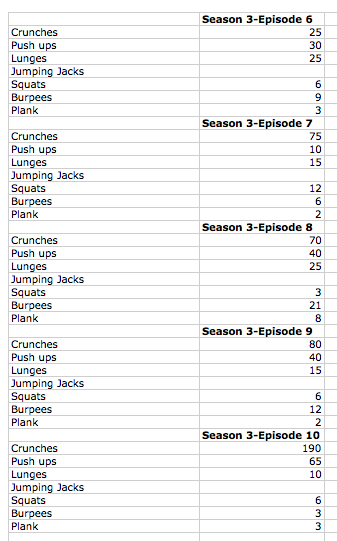 Now play some reruns from your computer and get to work! 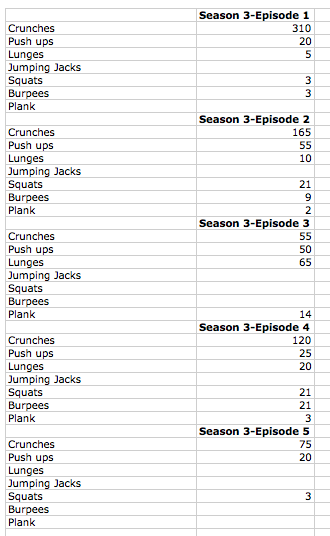 Here's a targeted workout breakdown. Did I miss anything? 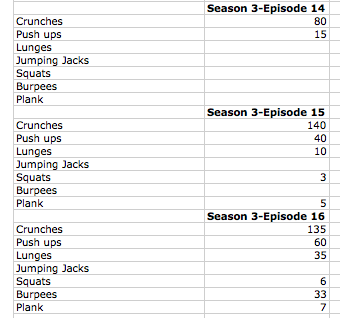 If you watch through and catch anymore walkers or cries that I missed, please let me know!